Goods arrive in the Republic by one of the following modes of transport: Air, Sea, Road, Rail or Post. In order for Customs to safeguard any revenue due to the State and ensure compliance with national legislation, the importer must declare to Customs what they have brought into the country and the mode of transport used. If goods arrive in the country via the post, a different process is followed. The importation of a variety of goods is either totally prohibited or may be subject to inspection by other authorities. 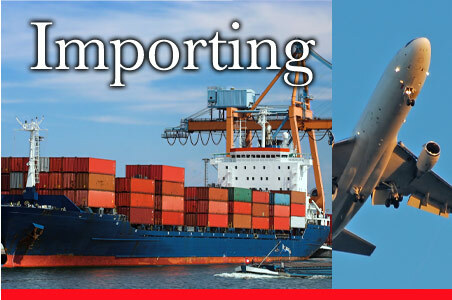 See the Consolidated list of prohibited and restricted Imports. Under what processes may goods be imported into the republic? These may be removed and detained in a State Warehouse. It must be noted that certain goods will require an import permit, which must be produced at the time of clearance. Application for Import Permits must be made to The Department of Trade and Industry (Contact Telephone Number 012 – 428 7000). The clearance process includes accepting and checking the goods declaration against the documents produced (invoice, bill of lading, certificate of origin, permits, etc. ), examination of the goods if necessary and the assessment and collection of duty and VAT. Customs may require additional information and may also request samples. Customs may also detain goods for other Government departments. The relevant Government department will then ensure compliance with their applicable laws, regulations and rules.